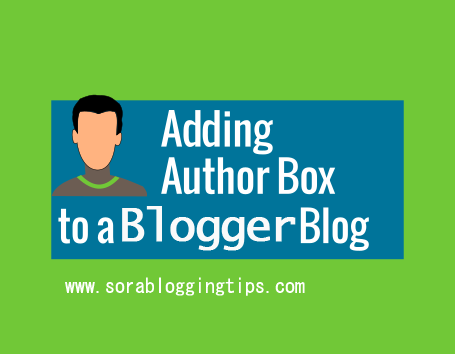 Today we are going to share an awesome post about How To Add Simple Author Box Below Every Post In Blogger, About the author widget is one of the compulsory and important widget to add in your blog. It helps the visitor to know more about the author and his/her blog. The widget which we have shared today is very minimal and elegant and doesn't affect your blog loading time . Lets move further and see How To Add Simple Author Box Below Every Post In Blogger. You can check a live preview of the Author Box widget by clicking the button below. What Is Special In Our Widget ? Ohh! is see !! About the author widget is important thing and we must have in it our blog, but whats special in this widget, Ahh! See the most important thing we care about is SEO now days and having a fast loading blog is mandatory. Our widget is completely based on HTML and CSS, We have maintained very neat and tidy coding. Also our widget works automatically for the guest authors . Congrats !! You have made it. now you have learned that How To Add Simple Author Box Below Every Post In Blogger. Visit your blog and check the awesome widget live in action, hope you liked this tutorial, if you enjoyed then please share it with your friends, we are working hard to develop more such awesome widgets please stay tuned with Us. Arrivederci !! (Goodbye in Italian). Good morning, I''VE TRIED it but it still doesnt show my author box. I'M RUNNING YOUR TEMPLATE. THIS IS MY BLOG PAGE, lamlaminkings.blogspot.com.ng please help me check it out. its not working. lamlaminkings.blogspot.com.ng can you please take a look? We can't see the codes you have added, please share the proper location of your code. Please I implemented on my blog Naijcrackgist just as you instructed. But it's not working..
You will see more than one <data:post.body/> in your template paste the code in second one or add it untill you see it working. How to setup multiple author boxes? You have to use multiple condition's to show it for multiple authors. It worked for me when I used the second step after the second or third data:post.body. But my layout automatically scales all the images to fit the post width. How do I stop that for the author image? Please follow the step 2 also, since it is important, so that we can inspect the issue properly. Image is automatically taken from google plus profile.